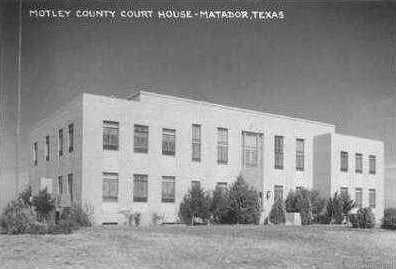 Motley County Courthouse, Matador, Texas. 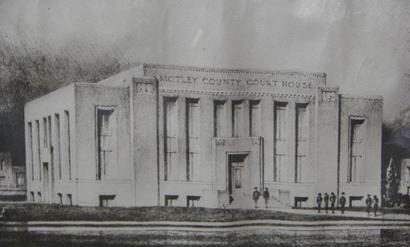 Motley is presently on their third courthouse - built in the no-frills style of 1948 designed by Wyatt Hedrick. 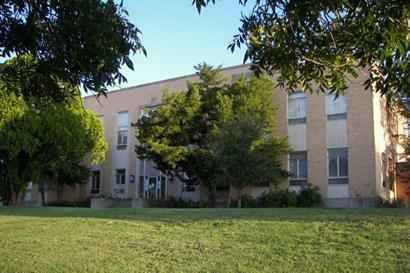 The county's organization in 1891 prompted the building of the first courthouse that year. 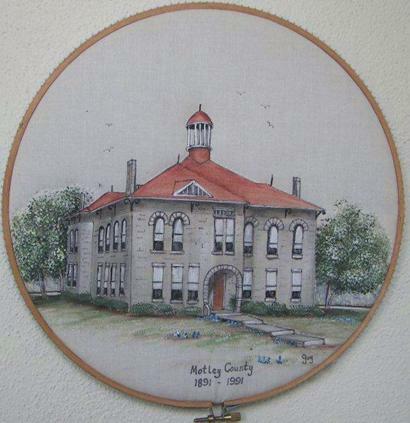 It burned in 1894 and the Sheriff, Joe P. Beckham turned up missing. Since county money was missing too, and some people got suspicious when the sheriff couldn't be located. He was charged with fraud. 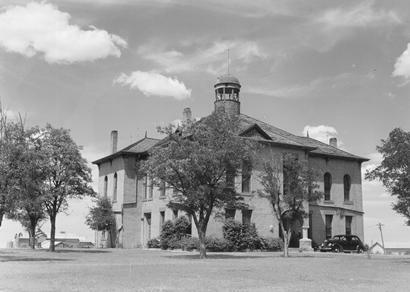 The second courthouse built in 1904 was also burned.